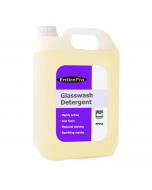 Meiko Premium Glass Washers are packed full of innovative technology now encompassed in a sleek, modern design, celebrated for its performance, build quality, user-friendliness and guaranteed hygiene and safety. 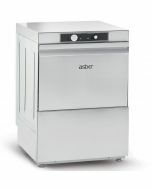 The perfect appliance for every caterer. 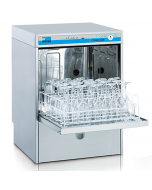 Whether in a bistro, café, restaurant, hotel or bar, the FV40 glass washer ensures sparkling results behind any counter. Featuring Meiko Energy and water saving system, this technology includes the Meiko AktivPlus filter technology to ensure only 2.6 litres of fresh water are needed per wash cycle. 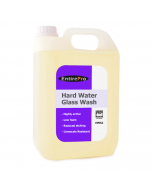 Tank water is filtered several times ensuring residues are removed and guaranteeing first class wash results. 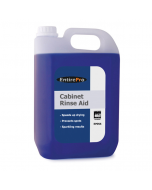 A rapid regeneration wash tank with only 11-litre capacity ensures reduced running costs and always-ready operation. A rinse booster pump is fitted as standard to ensure full coverage, constant water volume and temperature, regardless of mains water pressure. Drain pump, detergent pump and rinse aid pump with Advanced Dosage Technology (ADT) are also included as standard to ensure completely automated operation. A large clear entry space allows even the largest of glasses to be washed and a soft-start feature adds protection for delicate glassware. A sloping and tented ceiling prevents the washing solution from dripping onto the cleaned items. Only reliable components are used and stainless steel wash and rinse arms ensure a long working life. 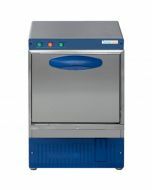 With the large deep-drawn wash tank, integrally moulded basket runners, and curved edges throughout, this glass washer is a pleasure to maintain. A self-cleaning programme following drain down further reduces maintenance. Easy to use with the latest fully electronic control system with infrared interface that allows data to be easily read, defined and forwarded to engineers for immediate processing to save you time, effort and costs. 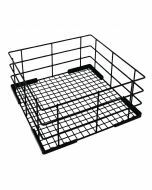 Supplied with standard basket starter pack, hose and connection kit. 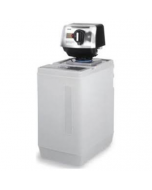 A water softener is recommended for installation in hard water areas to ensure correct wash results and preserve machine life. 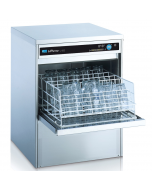 A German manufacturer with 90 years’ experience supplying commercial dishwashers and glasswashers to the catering and hospitality industry across the globe. The curved M symbol is recognised globally as a symbol of quality. A significant investor in technology, Meiko recognise that commercial dishwashing involves a whole lot more than just washing dirty dishes. 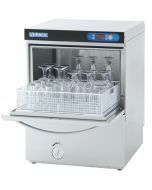 Their highly functional Mieko commercial dishwasher & glasswasher range allows customers to choose an option to suit specific requirements, whilst high-quality engineering and workmanship, paired with a personal touch to service and aftersales care makes them a leading competitor to other high-class warewashing brands.